OnlineSlots123. Slots Strategies - Do They Exist? 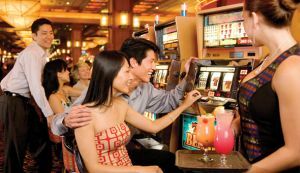 Slots may be exciting and fun, but is it possible to develop a strategy for it? Although the wide array of pay tables and slot varieties might seem confusing, there are actually old-fashioned strategies to slots out there. One important tip is to always play with maximum coins, but this isn't always ideal. Read on. Playing with maximum coins can benefit you sometimes, especially in progressive slots. 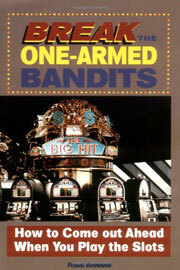 Playing progressive slots a coin at a time will give you virtually no chances at winning the jackpot of the machine. If anything, you will merely increase the jackpot for whoever will play next. With Buy-a-Pay Slot games, maximum coins need to be played since there are great chances of winning a jackpot whenever multiple coins are put on the line. In such slots, one coin will activate the BAR, while a second coin will activate the winning combinations. Each coin played activates various potential winning combinations, giving you a huge advantage when maximum coins are allowed. The hidden version of this machine technology gives you a bonus that you can activate by putting more coins into play. Take some time to check the slot machine's pay table; it should let you know if a potential bonus event could come about. Do you get surprised when people tell you to play a single coin every time here? Well, take a look at this slot's pay table. Does it seem difficult to you? Do not get confused as it is probably a Straight Multiplier, meaning that the payout would be the amount of coins that you put into play multiplied by each line. This means that no advantage comes with playing multiple coins here - plain and simple . When it comes to Straight Multipliers, always play a single coin each time since you will not win a thing by playing multiple coins. Plus, there are no bonus features to avail of. Bonus Multipliers happen to be a little trickier and there is some debate on how maximum coins need to be played with them. Unfortunately, the chances of hitting the bonus and the win at the same time are extremely slim, making the overall risk a bad one. Because of this, it would be ideal to play single coins instead. 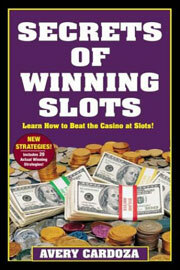 The slot machine strategies mentioned here are probably not in league with the ones you see in casino advertisements. These are actually based on the ideal mathematical odds, so, if you think betting maximum coins is always best, think again.